For reasons literally unknown besides a certain degree of boredom, last night I bought myself a Todleedoo mesh body, and tweaked a version of my shape to childishness. 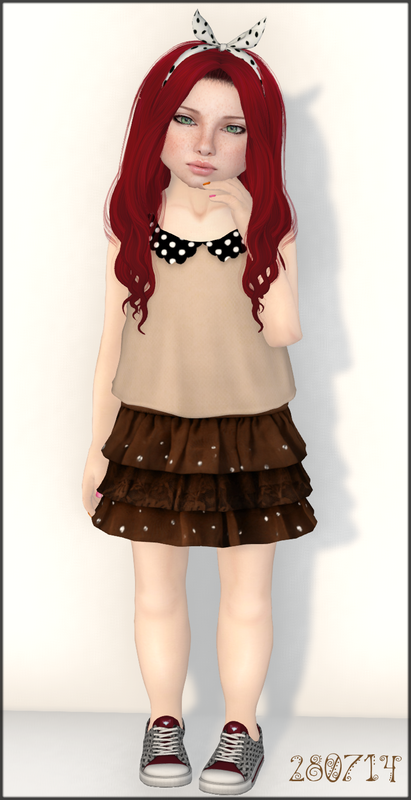 It was a fun evening I spent in which I also braved the last few hours of Hair Fair to grab this special Todleedoos-only hair, did a hunt and checked out the events I found on Seraphim Kids and quickly got myself looking somewhat presentable and cute. I don't suppose it's something I'll really pursue, not least because I don't see my BFF Persephone Paine going for it and I don't know anyone else to hang out and play with and it's no fun being an adorable lonely child. But I am unquestionably completely adorable.